Office life can easily leave you over-stressed, over-caffeinated and under-hydrated. 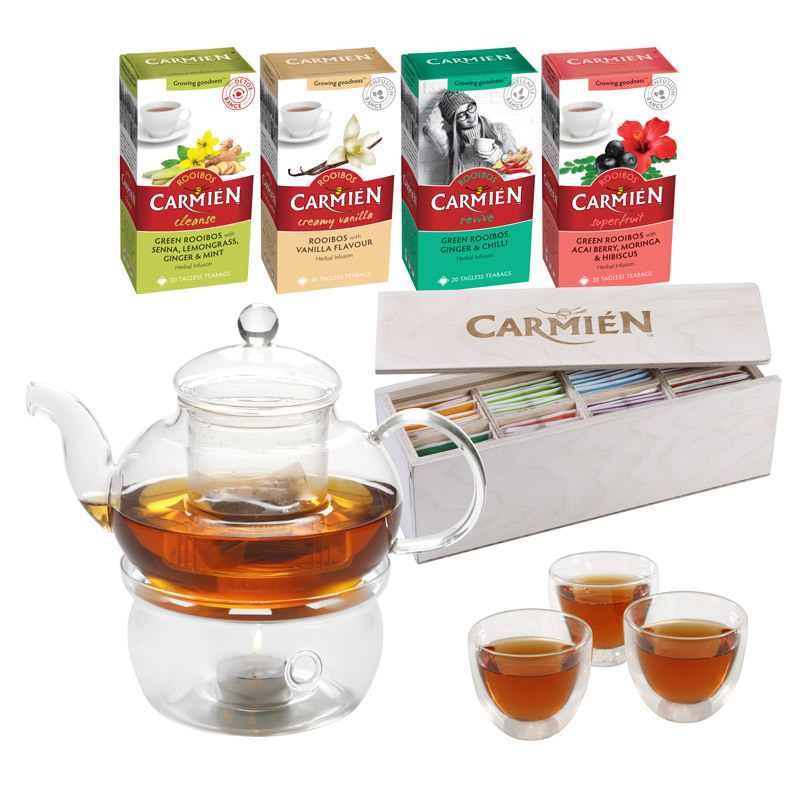 Our Executive or Home Office Tea Station is the healthy answer. Ideal for company executives or those who work from home. Good health an arms length away! Read more about the health benefits of rooibos here. 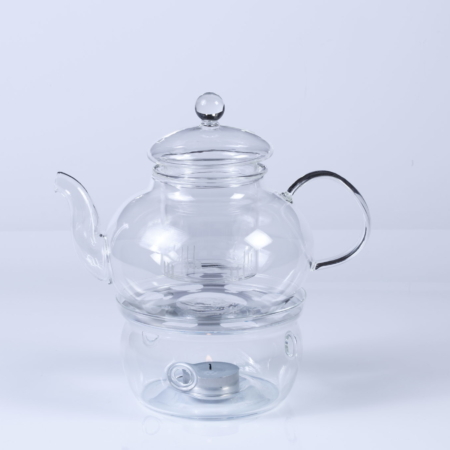 Included is a glass teapot and burner to keep your tea at ideal temperature and it looks good on your desk! 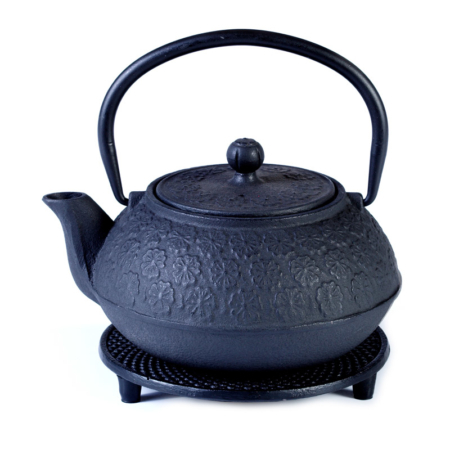 Double wall teacups help retain heat. The demand for more of these beautiful cups are easily solved with our 6 x Double Wall Tea Cups Gift Pack. 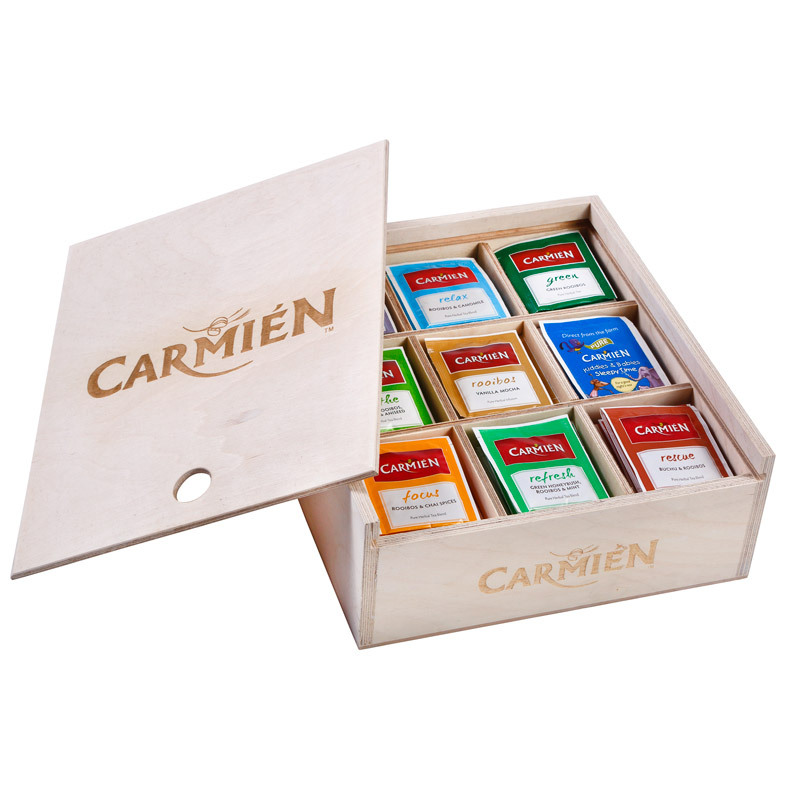 Also included are four of our popular teas plus a small wooden box with a selection of individually wrapped tea sachets to try out or impress your guests! 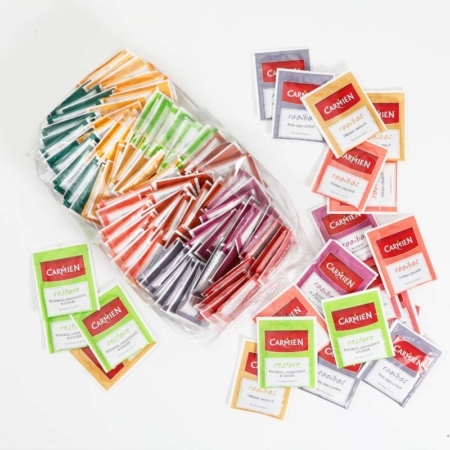 Refills can be ordered online in the flavours of your choice.